In 2017, Penland School of Crafts commissioned 48 textile pieces from six different artists who were affiliated with the school and working in hand weaving. The pieces were featured as centerpieces at the annual auction, and demonstrate a wide range of approaches to contemporary hand weaving. from different ages and backgrounds, the artists who completed the commission have engaged with Penland as students, instructors, staff, and community members. 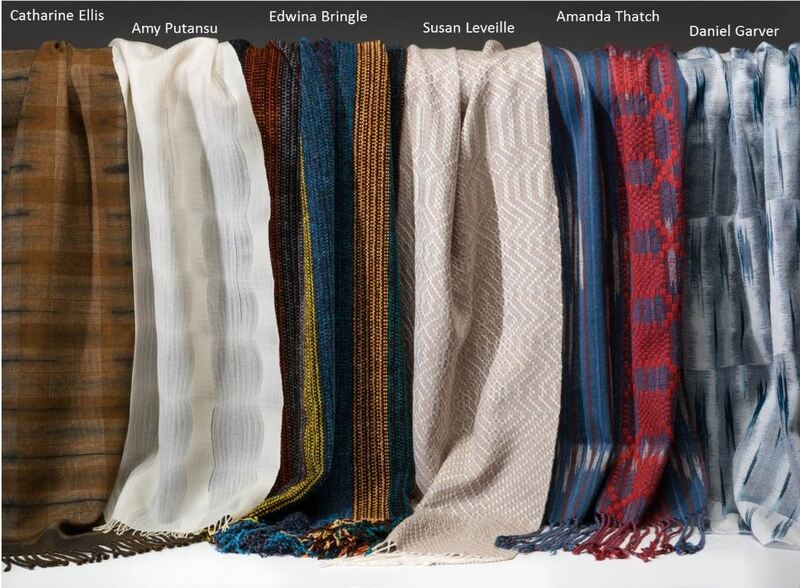 All have the Penland weaving studio in common as a place of discovery, and are participating in the traditions of hand weaving while introducing innovations and uniquely personal sensibilities. This talk will examine what happens when weavers’ creativity is supported by a commission, and focused on benefiting a place that is meaningful to them. Amanda Thatch is the studio coordinator for Textiles and Drawing/Painting at Penland School of Crafts. She works in textiles, drawing, and artist books, and is grateful/amazed to be among the group of remarkable weavers who participated in the 2017 Penland centerpiece commission.